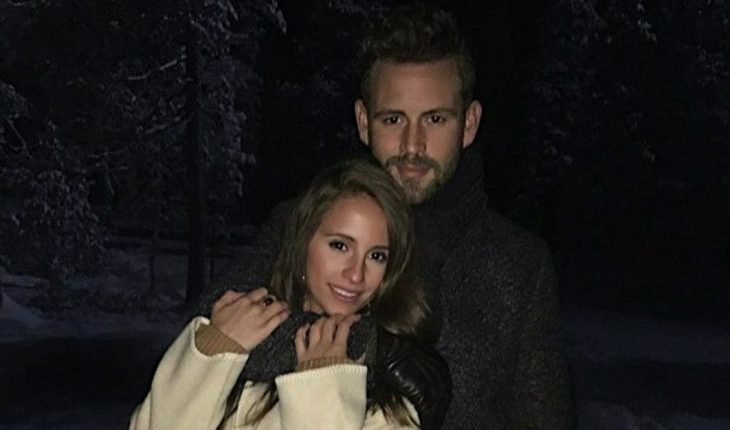 Bad news for those rooting for Nick Viall and Vanessa Grimaldi to get married soon. The celebrity couple has split up! According to EOnline.com, The Bachelor couple shared a joint statement on their celebrity break-up and there’s a great amount of heartbreak for the both of them. Before their split, the Reality TV stars were determined to not let the Bachelor curse effect their relationship. We hope the two can find love again and maybe star on Bachelor in Paradise in the future. This celebrity news is upsetting to hear! What are some benefits of sharing your break up news with your ex vs. doing it alone. 1. You’ve ended on good terms: There’s a good chance you ended your relationship on good terms if your ex is willing to spread the news about your split. Most exes are too hurt to come together to share bad news about their former relationship. It’s a good sign that they want what’s best for the both of you. 2. You can be civil from now on: Ending things together will allow you to be civil in the future, instead of being spiteful or sad about the break up. You do not have to be best friends with your ex, but it’s good that you can move on from the relationship without any emotional bruises. 3. People will respect how you both handled it: It’s a sign of maturity that you can both stay strong and help each other work toward a new beginning by ending things together. People may ask if there’s a chance you may get back together. That’s another discussion you can have if you both change your mind about breaking up. What do you think the future holds for these two celebrities? Let us know in the comments!